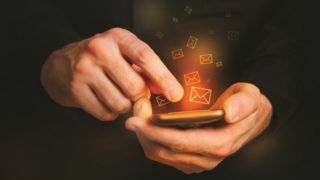 A third of all IT managers believe that their companies are at risk thanks to an inability to identify all mobile devices containing sensitive data. Research from MOBI found that managers didn’t trust their organization’s ability to identify all mobile devices that contain sensitive business data, while 25% of them aren’t confident employees understand how to proceed when a device is lost or stolen. Despite these security concerns, many companies are planning on overhauling communications – nearly 25% of firms are looking to dump their desk phones, with 15% of companies planning to do so in the next 12 months. Surprisingly, the desktop diehards tended to be technology companies – these were the ones with greatest reluctance to do away with their landlines. Rolling out a corporate mobile strategy isn’t easy, however. The survey found that a ‘one size fits all’ approach isn’t the best one, and most companies are wary of mandating a single device or program. Despite this, however, nearly 40% of organizations insist on employees having a single mobile device – 28% use Apple and 11% handle Android. The research also highlights the growing rise of artificial intelligence within the workplace. More than half of those surveyed believe that AI will be used to provide valuable help in the future: 57% believe employees will have their own virtual assistants in five years, while 69% claim AI will help them perform their tasks better. On the downside, however, nearly half think that AI will decrease the number of human workers required within an organization.